Farrar, Straus and Giroux, 9780374280994, 592pp. 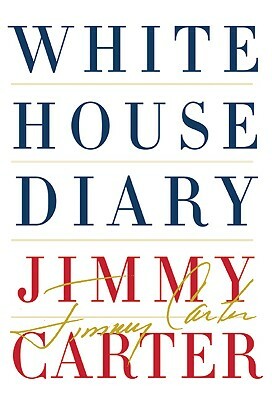 Each day during his presidency, Jimmy Carter made several entries in a private diary, recording his thoughts, impressions, delights, and frustrations. He offered unvarnished assessments of cabinet members, congressmen, and foreign leaders; he narrated the progress of secret negotiations such as those that led to the Camp David Accords. When his four-year term came to an end in early 1981, the diary amounted to more than five thousand pages. But this extraordinary document has never been made public--until now. By carefully selecting the most illuminating and relevant entries, Carter has provided us with an astonishingly intimate view of his presidency. Day by day, we see his forceful advocacy for nuclear containment, sustainable energy, human rights, and peace in the Middle East. We witness his interactions with such complex personalities as Ted Kennedy, Henry Kissinger, Joe Biden, Anwar Sadat, and Menachem Begin. We get the inside story of his so-called "malaise speech," his bruising battle for the 1980 Democratic nomination, and the Iranian hostage crisis. Remarkably, we also get Carter's retrospective comments on these topics and more: thirty years after the fact, he has annotated the diary with his candid reflections on the people and events that shaped his presidency, and on the many lessons learned. Carter is now widely seen as one of the truly wise men of our time. Offering an unprecedented look at both the man and his tenure, this fascinating book will stand as a unique contribution to the history of the American presidency. Jimmy Carter, our thirty-ninth president, received the Nobel Peace Prize in 2002. He is the author of numerous bestsellers, including "White House Diary," "An Hour Before Daylight" and "Palestine: Peace Not Apartheid." Carter grew up on a peanut farm in Plains, Georgia. He graduated from the Naval Academy in 1946, and after seven years of service in the Navy, he returned to Georgia and entered state politics, becoming governor in 1971. In 1976, he was elected President of the United States.Carter aspired to make government "competent and compassionate," and fought for human rights around the world. His successes include the Israel-Egypt peace treaty, the Panama Canal treaties, and establishing full diplomatic relations with China.After leaving office, he and his wife Rosalynn created the Carter Center, a nonpartisan organization working to advance human rights and democracy, resolve conflicts, and relieve suffering from disease and hunger around the world. The Carters live in Plains, Georgia, but continue to travel around the world in support of numerous philanthropic efforts.